Have you ever found yourself in such a writing hole that you seem to float through the day (or weekend) with out realizing how much time has passed? If at the end of that day, a doctor were to take a sample of your blood, would it be more coffee then blood? The answer for me is, Yes and yes. For the past few days, I have found myself spinning in circles trying to untangle a plot knot. I have tried everything from ignoring the knot, to picking at it, to erasing it only to have it crop up again later. So what do you do when your stuck in a rutt? Well a friend of mine said to just walk away from it. Which is good advice…. to step away from what ever writing device you find yourself planted in front of and just leave it alone. Usually, not always, but usually when you leave something alone for a few days and pick it back up again, you’ll find a way to untangle that knot. Yet, I find this knot ever persistent in making my writing life rather difficult. Well I do what Winnie the pooh does. I Think Think Think, and then think think think some more….Next thing I know, it’s Monday and when I last looked at the calender on my computer it was Friday. So what should I do? Should I abandon the whole section and start from scratch? Well that in my opinion would be counter productive. Should I go back and see if I can snip the knot before it starts (you know the whole bubble gum in hair solution), It’s possible, but that would require me reading through a third of my manuscript, and usually ends me up with a head ache. Well, that’s just the thing, in my case it’s not a matter of what should I do– it is more, W.W.M.C.D. (What would my character do?) This of course brings on a whole new cycle of think think thinking, but i believe for all the times I am thinking about a knot, or even a hole through the plot– that eventually when someone reads that novel: They’ll appreciate all the head-spinning-muse-cursing-cartoon-answering-insanity that comes with the world of writing. So have any of you found yourself in a similar predicament? If so, What did you do to fix it!? Did you know Dragons really exist? No I am not talking about the Indonesian Monitor lizard Known as Varanus komodoensis– or Komodo Dragon; I am talking about True to life Fire Breathing Dragons– just like what has been spoken of in nearly every culture on the face of the planet. 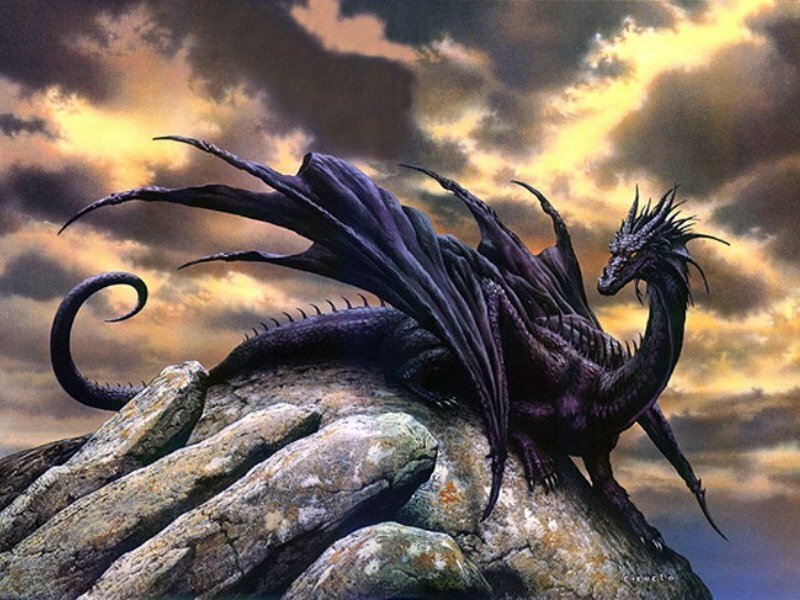 Well, most people I know would laugh at me– in fact they have laughed at me over the course of my life when i have sworn up and down that Dragons really exist– or at very least existed. Well It turns out, that I was right: According to a documentary I watched on Youtube– that was aired on Animal Planet. Now a lot of people are saying that the “documentary” was stated to be purely fiction, however, the Documentary I watched said nothing of the sort. In fact they said that back in 2007 an ice cave previously undiscovered had once again opened up due to the unseasonably warm winter followed by a warmer then normal summer. Apparently– (now I don’t know if it is true, the jury is still out on this in my mind.) a group of people had gone exploring the ice cave and found within what appeared to be a mass grave site. This of course warranted an investigation to ensure this wasn’t just a dumping ground. Upon further investigation on the site deeper into the cave, they found the body of what was apparent to be a dragon- or something similar to it. So where was this supposed to have happened? The Carpathian Mountains in Romania. So, Was this a hoax or fiction made to give the theory of how Dragons could have come to be some credibility? A lot of people are saying, Yes it’s fake get over it. Why? Because of two very important facts. IF the documentary was even a Rendering of how the events went down– where is the body now? Why isn’t the science community buzzing about this biological Discovery of the century? I don’t know, I am not a conspiracy nut- nor am I an alarmist. 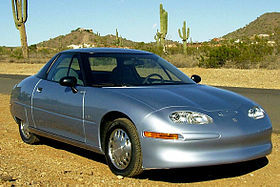 However, People believed for the longest time that the electric car was a modern invention– but that isn’t true, GM had brought out the EV1 the worlds first 100% electric car back in : 1997, only to recall them and destroy the cars. So if the world at large can believe that the Electric car was none existent until recently; then why can’t it be possible for this dragon body to have been discovered and swept under the rug as if it didn’t happen? Well there is one reason that immediately comes to mind: Because there is no documented proof about the dragon– but the EV1 car had owners and the recall caused a big craze of protests. So there was documented proof of the EV1’s existence– but there is no documentation of the Dragon. To me stranger things have happened, and it’s not completely impossible to have had this discovery happen–However one has to admit that the film they showed on television couldn’t have been real as the Dragon wasn’t kept in proper conditions Ect Ect. But, I leave this up to you dear reader. Did they find a dragon’s body in the Carpathian Mountains in Romania in 2007 or was the whole thing a work of fiction produced into a Dramatic Film? Further more, If it was simply fiction– Does the science behind it still stand as Highly Probable, could it come to pass that as the world warms up– could we look at finding dragon remains in the deepest trenches of the Ice caves littering the Carpathian mountains or other regions of equal mystery? Not long ago now, I was invited by my cousin to come to a concert where the headliner was one Xavier Rudd. I had never heard of this individual before, and I was skeptical of going to a concert of a musician i had never heard of before. So naturally I looked this individual up on Youtube to see if I could gather a sample of his work. I did, and it’s amazing- the man is a one man band– brought to new heights. Not many people know about the perpetual peace project (or the U R ME). This is a collection of singers who have banded together to promote peace- it matters not race or nationality- for You are Me and I am You. The idea isn’t something new, but it is something I think everyone should be aware of. This collective of singers aren’t looking for money (though if you pay to see their concerts I am sure they won’t complain), They are simply looking to spread the words of peace to everyone in the world one concert/song at a time. This time around I’m going to give you my top 5 reasons for liking social media. I won’t lie, this list was harder to make up then my previous [Twit-Book] list. It’s always easier to HATE/DISLIKE something and give reasons for it– then it is to LIKE/LOVE something. For some strange and fascinating reason humanity is always so quick to jump on the hate-wagon. The ability to talk and or even meet someone in another country even so close as 40 years ago was something inconceivable to most people. With the dawning of the technological age, the world may have gotten smaller but our race has also grown closer- people who interact through social media and the internet tend to have more meaningful friendships with international people then within their own community. It’s brought people who would have never met before, together in both relationships (first come internet then comes marriage) and friendships that are both beautiful and help eliminate the racial barriers erected over the course of our history. While our friendship and popularity status has risen above the roofs of our fore fathers (and mothers) we have also been given the grate access to the central hub of information– No I am not talking about the CIA or national archives– I am talking about the internet. Through social media, the distribution of information is so much simpler- you don’t need to go knock on 500 doors to promote world peace you can simply post a tweet or status ect and have all of your followers and friends see this information. A sale on Anime? Cloths? ect… Oh well be assured everyone within spitting distance from the store(s) will know about it before the doors open the next day. Oh don’t groan, you knew it was coming. I like social media because it makes an authors job of self promoting within the first few years of their toddler-ing about the writing community so much easier. Before social media and the internet it took a lot of time and money to become a recognizable name in the book store. Today that’s not as much the case. Now it’s more based on your ability to use the free tools like Twitter and Facebook to your advantage– getting the word out there quicker then before– and to people you would have never been able to get to. While I said in my Dislike list that INTERNET HUMOR tends to be the dirtiest of the dirt– that isn’t always the case. There are some vastly entertaining ways to unwind after a hard day of writing and self Promoting (See: My twitter / Fan-Page). Social media brought the boom of Flash games, Like All the Ville’s on facebook, and even #Hashtag-tag. To even finding new reading materiel and/or Youtube Videos to pass the time. Heck if your savvy enough you can even unwind by creating your own video’s games or even reading materiel (See: Author). They say that anything once posted on the internet can and will comeback to haunt you– that isn’t always a bad thing. With sites like Ancestry.ca or other history resources it’s easier for people to find their family history. It’s was usually a trial to find out your family history before the internet and Social Media sites like the prior mentioned (yes that does apply ladies and gents) Now I can (for a minor fee) Find out all there is to know about my history and continue to record that history on the cyber world for future generations to see. Now I don’t know if i want future generations to be looking too closely at my teen years– that doesn’t mean its a BAD thing to be connected to social media. 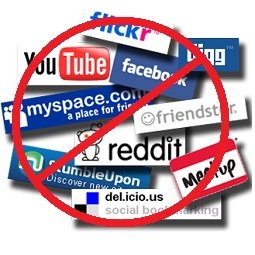 So that was my top 5 reasons for liking social media. While it’s still not my favorite thing to do, it has it’s good points and its bad points. So long as you moderate how long you sit in front of a computer watching your blog status, your likes and responded tweets– then it’s all good. After all you can’t live life to the fullest through a computer screen.